This Porridge Was Just Right…. 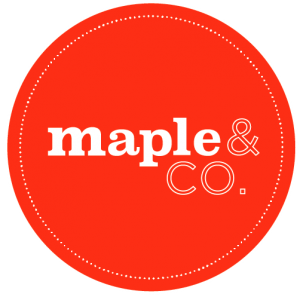 Last weekend was a hugely exciting one for the team at Maple & Fitz, as it saw us make our TV debut on Channel 4’s weekly food show, Sunday Brunch. The lovely Rebecca Seal had invited us to help out with a piece on one of the hottest trends in the food world… the humble bowl of porridge! Goldilocks’ breakfast of choice continues to go from strength to strength, with a host of cafes and restaurants coming up with all manner of exciting variations on the classic recipe for boiling oats. With Rebecca showing off four different porridges to a crack tasting panel of presenters Tim Lovejoy and Simon Rimmer and guest David Hasselhoff (SCREAM! ), we whipped up a bowl of our signature Quinoa Kick – quinoa porridge with chia seeds, vanilla, cardamom, nutmeg, cinnamon and coconut milk. Named after its signature kick of spicy flavours, it’s packed full of energy and the perfect fuel for an active lifestyle! Cook quinoa (can be done ahead of time and refrigerated for up to 5 days). Bring quinoa and water to a boil then reduce and simmer for 12-15 minutes covered until all water is absorbed and spirals are revealed. Turn off heat and place a dry dishcloth over pot for 5 minutes before fluffing with a fork. Melt dates, almond butter and milk in pan until gentle boil. Add cooked quinoa, spices, chia seeds, coconut and halve vanilla bean lengthwise and scrape beans into milk. Season with a pinch of sea salt. Serve warm or chilled with banana, pecans, goji berries, desiccated coconut and more cinnamon as garnish.